PM Modi Mann Ki Baat latest episode on Sunday said that the programme is apolitical and does not praise him or the government, and that he has always raised issues of society through it. "PM Modi said, "Some young friends have attempted a study on the myriad subjects touched upon, over the many episodes of `Mann Ki Baat... One of their findings was that this programme has remained apolitical. When it commenced, I had firmly decided that it would carry nothing political, or any praise of the government, nor Modi for that matter anywhere. PM Modi added, "Mann Ki Baat is not about the government, it is about the society. 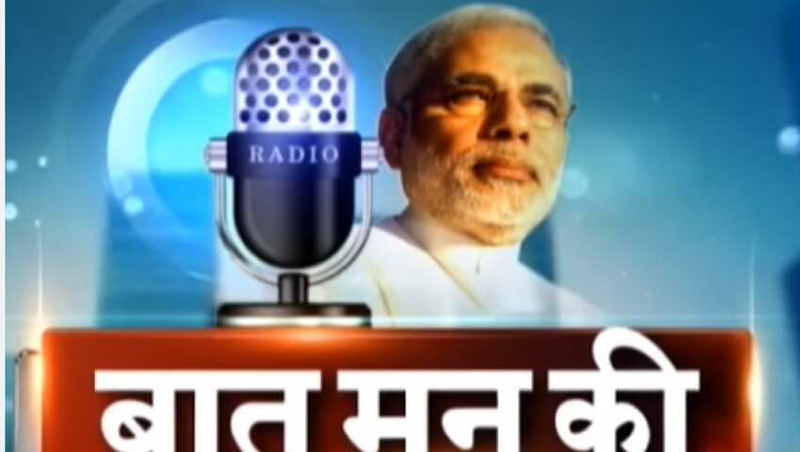 Mann Ki Baat addresses an aspirational India, an ambitious India. Politics or Political Power are not intrinsic to the Indian ethos; on the contrary, social values and society are". PM Modi said the greatest "bulwark in ensuring adherence to my resolve, in fact my highest inspiration, has been you". "In the run-up to each episode of `Mann Ki Baat`, the expectations and aspirations of listeners through their letters, online comments and phone calls are crystal clear." "Modi may come and go, but this country will never let go of its unity and permanence. Our culture will always be immortal," he said, emphasising though, that remaining apolitical could never be an easy task for any leader who has millions of listeners. "The fact is, if a leader gets hold of a microphone with assured listeners to the tune of millions, what else does he need?" he said as he cited a "lexical study" done by "some young friends" on the myriad subjects touched upon over the many episodes of `Mann Ki Baat`, and which concluded that the programme has remained away from politics. "Politics or political power are not intrinsic to the Indian ethos; on the contrary social values and society are. In fact, politics is one of the numerous other aspects of social life. Making politics an all-pervasive, powerful factor is not good for a healthy society," Modi said. He said his addresses are a "humble and modest effort" towards acknowledging and honouring the common man`s talent and deeds. "Some people may wonder as to what I achieved through Mann Ki Baat. It gives me immense satisfaction when people write back to say that as they sit down together as a family to listen to `Mann Ki Baat`, they feel as if a family elder is sharing his ideas with us. "When I hear such comments, I feel satisfied to know that I am yours, I am one amongst you, I am with you and it is you who have elevated me to this position. Your joys and sorrows are my joys and sorrows, too. Your expectations are my expectations, your ambitions are my ambitions," Modi said. Calling this golden jubilee episode gilt-edged in every sense of the term, Modi said a constructive and positive change can be brought about in the country if the youth is provided with a conducive environment to work on their ideas. "Today's youth have this special quality of not doing something they don`t believe in themselves, but whenever they believe in something, they follow that leaving everything else." Modi said it is "a matter of concern" that the practice of open discussion with teenagers without any expectations is on the decline. The Prime Minister also remembered Dalit icon B.R. Ambedkar and Guru Nanak, the founder of Sikhism, in the monthly radio address. "Tomorrow (November 26) is the Constitution Day. A day to remember those great personalities who drafted our Constitution... One of them was Baba Saheb Bhimrao Ambedkar whose death anniversary falls on December 6.